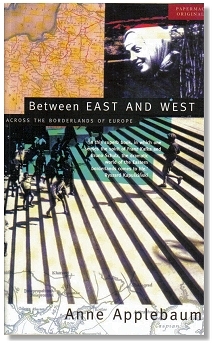 In 1991 Anne Applebaum made a journey across the borderlands of Europe - East of Poland, West of Russia - just as the Soviet Union was breaking up. She travelled through Kalingrad, Lithuania, Belarus and Ukraine and found a region of changing national identities as the Soviet Union collapsed. The book's introduction can be read on the author Anne Applebaum's website. In the centuries-long tradition of informed travel literature, Anne Applebaum arranges place descriptions, vignettes, characters, and events of the present and the past into a rich mosaic portrayal of the borderlands of eastern Europe that lie between Poland and Russia, between the Baltic and Black Seas... Applebaum recounts her visits in cities and villages in the kresy (the Polish word for borderlands or marshes) filled largely with people who consider themselves Polish or Lithuanian....The book is timely, absorbing, instructive, entertaining and well written. Applebaum communicates her keen observations with apt similes, irony, and heart. Precisely because these are borderlands (okrainy in Russian, kresy in Polish) where cultures overlap, many a truth can be undermined by another. [She] explores whether the renowned 19th-century poet Adam Mickiewicz was a Pole, a Belarussian, a Lithuanian or a Jew -- or any combination of the four...Here occurred the terror famine of the 1930's, in which Stalin killed more Ukrainians than Hitler murdered Jews. Yet how many in the West remember it?...Of the 20 million Soviet citizens who died in World War II, most were from these borderlands, as were most of the victims of Stalin's brutal relocations after the war...the problems arising from the rule of the Soviet commissars will be occupying policy makers for decades to come. The Soviet Union may be officially dead, but "Between East and West" convincingly establishes the fact that it will go on dying. Publisher - Published in 1995 by PaperMac . This page was added on 12 April 2008.